Check out what we offer on a general day to day basis, its not just painting that we can offer! Paint - Ceramic, canvas, wooden and decopatch items. Decopatch - We have an extensive official Decopatch range of items to decorate. Foam Clay - We have all colours of foam clay available. This is a fun, mess free way of decorating your chosen ceramic or wooden item! Build a Teddy - Select from a huge choice of skins. Stuff, add a heart and then design its own personal T-Shirt. 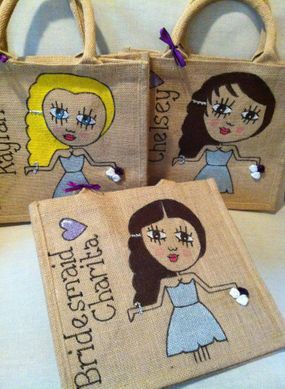 Design your own jute bag - choose from various types of jute bags and draw your very own design! Then paint and decorate with gems and bows. Something useful that you can always use, we even have p.e bags. Eat, drink and be merry - We have composed a lite-bite menu which will tide you over while out and about. From traditional beans on toast to a toastie, we have you covered! or why not indulge in a delicious hot drink, fresh bean coffee or melt in mouth hot chocolate, the choice is yours! Our Birthday parties are a firm favourite! We have worked hard to offer you the complete package at an affordable cost. Our parties are fully run by our friendly, fun and professional team of staff. Click through to find out more information on each party or feel free to call us, we would be glad to provide you with all information. Try not leave it too late to book, spaces fill fast! 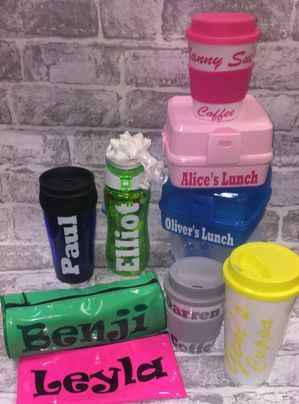 We have a wide range of personalised gifts including water bottles, lunch boxes and pencil cases! These are also great for party bags! Our hand and foot castings make a beautiful keepsake, treasure your little ones, hand's, feet, or both forever. Our skilled staff make the casting process an easy and smooth process, taking time and patience with your little one to gain the best results. We use only the best materials for the casting, and your cast is treated with utmost respect from the minute you leave, till the point when you collect. The whole process in done in house, to your complete specifications. 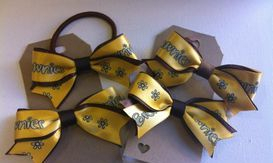 We can offer a variety of different styles and colours to suit your needs at very competative prices! Teddy bear outfits - Why not add even more to your hand made teddy with a selection of outfits? We stock a huge range from superheroes to firemen, angels to swimsuits, we have it all, from £3.49. Craft kits - We have a wide range of kits available to take away to do at home. These are available to post or collect and come with everything you need to get creative! They make great gifts too! There is so much more in store, why not just pop in and see what takes your fancy!